What’s open today in Harlem during Sandy? 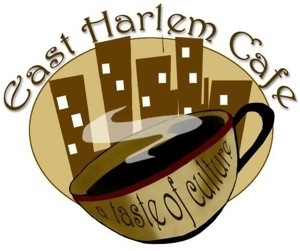 | HarlemGal Inc.
What’s open today in Harlem during Sandy? Most of us are home today in Harlem bracing for the arrival of Sandy. Some Harlem business have posted notices on Facebook or Twitter saying they are open today. So far the businesses who have said they’re open are: Astor Row Cafe on Lenox Avenue and 130th, Lenox Coffee at 60 West 129th Street, The Chipped Cup at 3610 Broadway, Dunkin Donuts on FDB between 113th and 114th Street, Il Cafe Latte on Lenox Ave and 119th Street, Frederick’s Cafe & Bistro on FDB and 114th, East Harlem Cafe at 1651 Lexington Avenue, Patsy’s Pizza at 2287 First Avenue will be open today from 11 am to 11 pm, Chez Lucienne on Lenox Avenue, Harlem Tavern on 116th Street and FDB, and Red Rooster Harlem on 125th and Lenox Avenue is open for lunch. They will make a decision about dinner later depending on storm conditions. 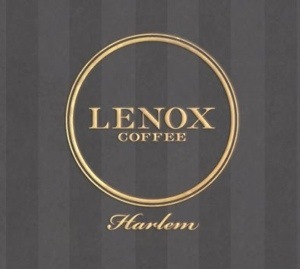 If you know of any other Harlem businesses that are open today, October 29, please tell us! Stay safe and dry Harlem! This entry was posted in 125th Street, business, Community, food, Harlem, Lenox Avenue, Red Rooster Harlem, restaurants and tagged 10026, 10029, East Harlem Cafe, Harlem, Hurricane Sandy, Lenox Coffee, Patsy's Pizza, Red Rooster Harlem, Sandy, The Chipped Cup. Bookmark the permalink. NYSC on 145 is open till 4pm, and the Pathmark on 145 is evidently open as well. On 145th, the NYSC will be open till 4pm, and the Pathmark is open. Many other smaller bodegas are also open. We have added Patsy’s Pizza in East Harlem to the list! They told us on twitter they’re open from 11 am to 11 pm today! And thanks @barrianne for the info on 145th Street! Thank you. A reader also says Best Yet is open until 4 pm, Chez Lucienne, and Il Cafe Late are open! best yet market is open and they even have bread ! C-town on W116th is open, too. Their shelves were not as barren as Best Yet’s. Best Yet closes at 2pm – they were pretty much out of chicken, eggs, and most breads (they have some gluten-free breads back by the deli counter if you’re interested!). Otherwise they are well-stocked, and you can get there for another 30 minutes if needed. Any updates on what’s open today – Tuesday? @tai, great question! All the establishments mentioned above will be open today. I haven’t heard otherwise. Thanks!